A document developed by a New York end-of-life agency permits people who want to avoid the ravages of advanced dementia to make their final wishes known — while they still have the ability to do so. One version requests that all food and fluids be withheld under certain circumstances. Treading into ethically and legally uncertain territory, a New York end-of-life agency has approved a new document that lets people stipulate in advance that they don't want food or water if they develop severe dementia. The directive, finalized this month by the board for End Of Life Choices New York, aims to provide patients a way to hasten death in late-stage dementia, if they choose. Dementia is a terminal illness, but even in the seven U.S. jurisdictions that allow medical aid-in-dying, it's not a condition covered by the laws. Increasingly, patients are seeking other options, says Dr. Timothy Quill, a palliative care specialist at the University of Rochester School of Medicine and longtime advocate of medical aid-in-dying. "Developing incapacitating dementia is certainly my and a lot of people's worst nightmare," he says. "This is an aggressive document. 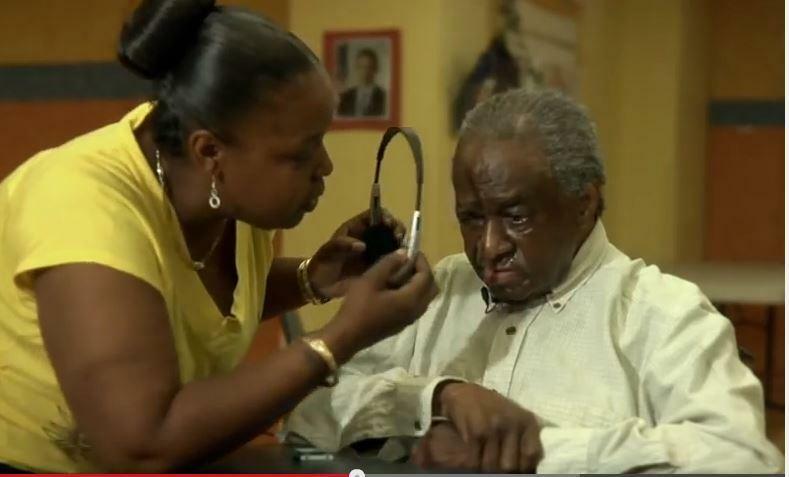 It's a way of addressing a real problem — the prospect of advanced dementia." The document offers two options. One option is a request for "comfort feeding" — providing oral food and water if a patient appears to enjoy or allows it during the final stages of the disease. Another alternative would halt all assisted eating and drinking, even if a patient seems willing to accept it. Supporters say it's the strongest effort to date to allow people who want to avoid the ravages of advanced dementia to make their final wishes known — while they still have the ability to do so. "They do not want their dying prolonged," says Judith Schwarz, who drafted the document as clinical director for the advocacy group. "This is an informed and thoughtful choice that needs a great deal of reflection and discussion." But critics say it's a disturbing effort to allow withdrawal of basic sustenance from the most vulnerable in society. "I think oral feeding is basic care," says Richard Doerflinger, an associate scholar with the Charlotte Lozier Institute, which opposes abortion and euthanasia. "It's what they want here and now that matters. If they start taking food, you give them food." 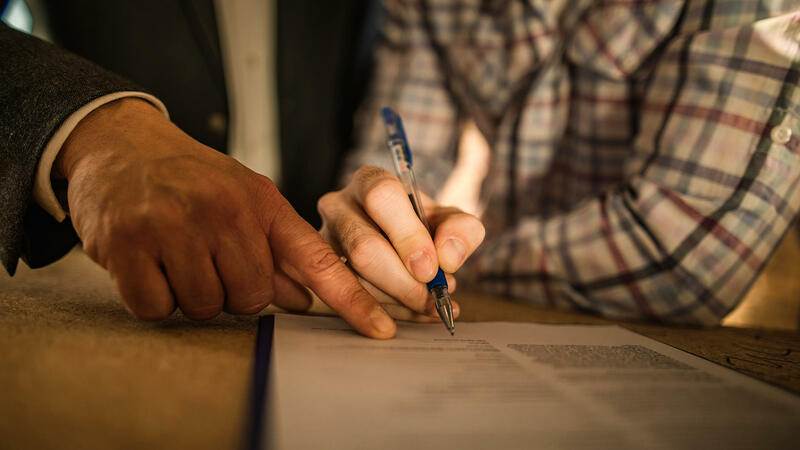 Advance directives are legally recognized documents that specify care if a person is incapacitated. They can confirm that a patient doesn't want to be resuscitated or kept on mechanical life support, such as a ventilator or feeding tube, if they have a terminal condition from which they're not likely to recover. However, the documents typically say nothing about withdrawing hand-feeding of food or fluids. The New York directive, in contrast, offers option A, which allows refusal of all oral assisted-feeding. Option B permits comfort-focused feeding. The options would be invoked only when a patient is diagnosed with moderate or severe dementia, defined as Stages 6 or 7 of a widely used test known as the Functional Assessment Staging Tool (FAST). At those stages, patients would be unable to feed themselves or make health care decisions. The new form goes further than a similar dementia directive introduced last year by another group that supports aid-in-dying, End of Life Washington. That document says that a person with dementia who accepts food or drink should receive oral nourishment until he or she is unwilling or unable to do so. The New York document says, "My instructions are that I do NOT want to be fed by hand, even if I appear to cooperate in being fed by opening my mouth." Whether the new directive will be honored in New York — or anywhere else — is unclear. Legal scholars and ethicists say directives to withdraw oral assisted-feeding are prohibited in several states. Many care facilities are unlikely to cooperate, says Thaddeus Pope, director of the Health Law Institute at Hamline University in St. Paul, Minn., and an expert on end-of-life law. Doctors have a duty to honor patient wishes, but they can refuse if they have medical or moral qualms. "Even solidly legal advance directives do not and cannot ensure that wishes are respected," Pope writes in an email. "They can only 'help assure' that." Directors at End of Life Choices New York consider the document "legally sturdy," Schwarz writes, adding: "Of course it's going to end up in court." Whether assisted feeding can be withdrawn was at the center of recent high-profile cases in which patients with dementia were spoon-fed against their documented wishes because they continued to open their mouths. In a case in Canada, a court ruled that such feeding is basic care that can't be withdrawn. People who fill out the directives may be more likely to have them honored if they remain at home, Schwarz says. She stresses that patients should make their wishes known far in advance and choose health care agents who will be strong advocates. Attorneys say the documents should be updated regularly. Doerflinger, however, says creating the directive and making it available misses a crucial point: People who don't have dementia now can't know how they'll feel later — yet, they're deciding in advance to forgo nourishment. "The question is: Do we, the able-bodied, have a right to discriminate against the disabled people we will later become?" Doerflinger says. Already, though, Schwarz has heard from people determined to put the new directive in place. Janet Dwyer, 59, of New York, says her family was horrified by her father's lingering death after a heart attack four years ago; Her family has a strong history of dementia, so when Dwyer learned there was a directive to address terminal illness and dementia, she signed it. So did her husband, John Harney, who is also 59. "Judith informed me of the Option A or Option B scenarios," says Dwyer, who opted for the more aggressive option — refusal of all oral assisted-feeding. "I said, 'Well, that is just perfect." Kaiser Health News (KHN) is a nonprofit news service covering health issues. It is an editorially independent program of the Kaiser Family Foundation that is not affiliated with Kaiser Permanente. 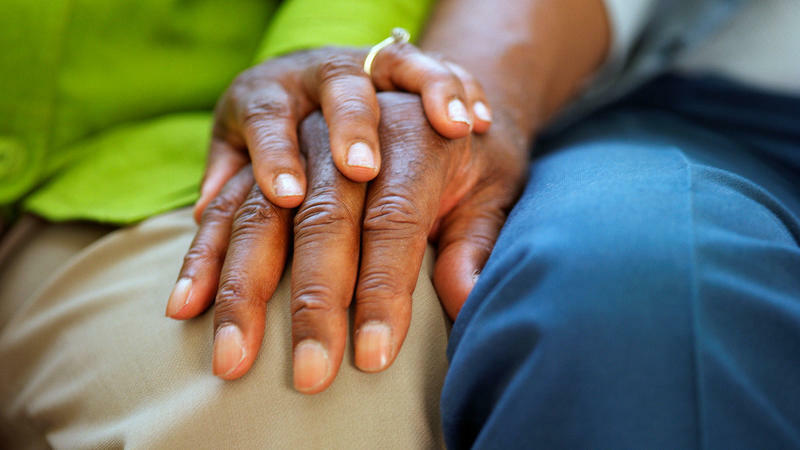 Harsh life experiences appear to leave African-Americans vulnerable to Alzheimer's and other forms of dementia, researchers reported Sunday at the Alzheimer's Association International Conference in London. Several teams presented evidence that poverty, disadvantage and stressful life events are strongly associated with cognitive problems in middle age and dementia later in life among African-Americans. Is there a link between music and dementia? As part of the University at Buffalo's Public Health Week, experts are screening a movie examining the connection between music and humanity. Have you spoken to loved ones about your "End of Life" plans? Pulitzer Prize Winning Columnist Ellen Goodman is in Buffalo today to talk about "End of Life Planning." Goodman is the keynote speaker for the P2 Collaborative of Western New York's 8th annual conference.